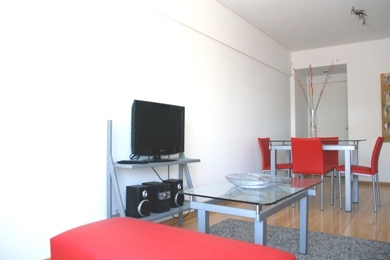 First quality apartment in Palermo Hollywood. This excellent property will provide you with all the amenities to feel as if you were in your home during your stay here. 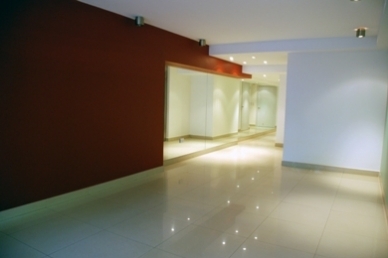 When you come into the apartment, you will be amused by the stunning fusion between luminosity in every room and decoration. 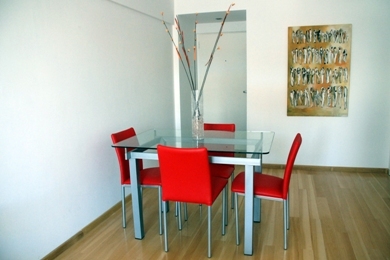 The large living-dining area has a table and chairs for four people. 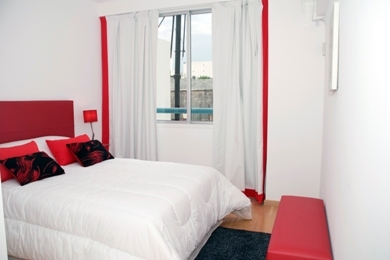 Then you will see a beautiful red leather sofa matching with the chairs, where you can relax after visiting the city watching a film on LCD flat-screen cable. The sofa is a sofa bed for two guests where you can sleep comfortably. The balcony is small but comfortable. It has a little table and two Beach chairs, where you can be pleased by watching a summer evening go dark. 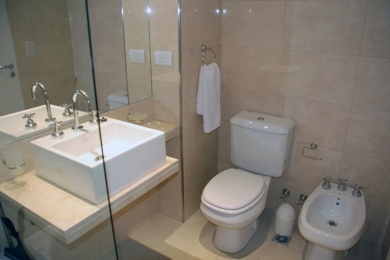 In this same part of the apartment, you will have a toilette, ideal for your guests. The kitchen is wide and luminous. 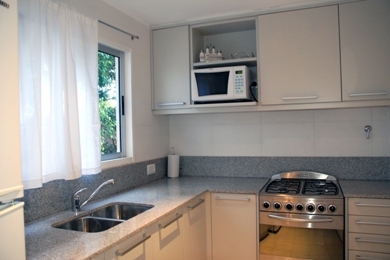 It is fully equipped with all the tableware you need to prepare any kind of meal for four people. 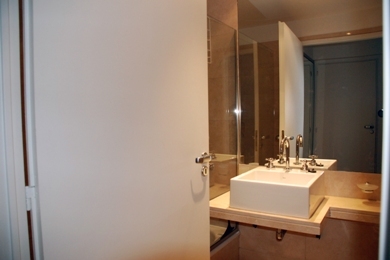 The main bedroom has a double bed, a mirrored cupboard perfect for putting in all your belongings and a bathroom with a modern decoration and bathtub for taking an immersion bath. 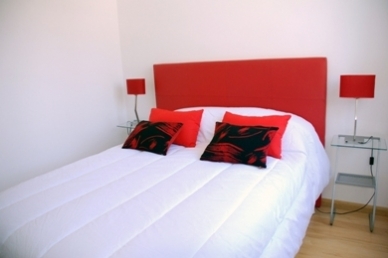 Both rooms have air-conditioning and internet access. The upscale and first quality building has swimming pool, grill and terrace. You can enjoy any of them when you want during your stay. Beautiful apartment for freedom seekers, business travelers, couples or friends. 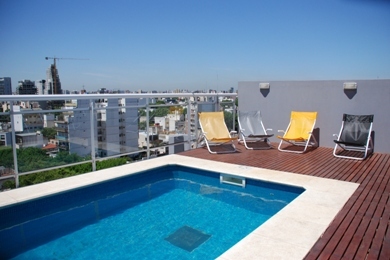 Ideal for relaxing and enjoying your holidays in Buenos Aires’ city. 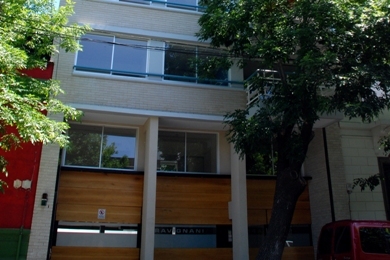 Area: In one of the most exclusive areas of Buenos Aires city, Palermo Hollywood, you will enjoy this peaceful area and its variety of restaurants, bars and pubs. A few blocks from Santa Fe Ave., where you can take subway line D that will connect you with the most important zones of Buenos Aires.